Tribe of Lambs is proudly working on our 3rd Compassion Project -" WARM DOUGH"
A unique aspect of our compassion projects at Tribe of Lambs is that we can tailor each project specific to the needs of our beneficiaries. Last year we had the privilege of working with Sudeshna and the 17 children she cares for in Northern India. The needs of a private orphanage like this are on going. She receives no government funding and relies on the community, donations and little income from selling produce from their garden, knitting and crafts. This year when we went back to visit Sudeshna and get an update, it was clear everyone was happy and healthy. Even so, something that struck us was the fact that last winter the home was without power for almost a month straight (and quite regularly). This is not only due to the heavy snow falls and poor power lines in India, but also due the remote location of her house. We came up with a few solutions to help ease this burden. 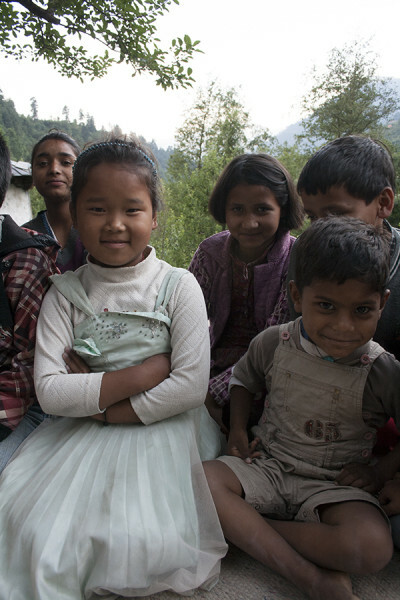 * On the right is Kashish, Lalit and some of the other children Sudeshna cares for. 2. SOLAR PANELS – What good does a bread oven do without power? Another solution we considered after discussions with Sudeshna was a renewable energy source to provide light and power charging for the home. This is great not only in winter when power is unreliable but all year round to significantly reduce costs. We’re working with Manish Ram (formerly of Green Peace India) to build a plan to install solar power grids on Sudehna’s roof. COST – $2100 (plan, grid, installation, and management tutorial). Devon showing Pooja, Babita and Dugri how to make the best Hanuman face! Kalpana pulling Bobbi across the river as the kids do every day to get to school or town. We are committed to keeping up with our beneficiaries and continuously supporting them as we can. Often we choose to have a gifting partner, but sometimes like with Sudeshna, there is no organization we can work with confidently to distribute the full monetary amount. Therefore we must work from Canada and bring on reputable businesses to help. For this project, contracting Manish Ram and utilizing his expertise in bringing renewable energy to some of India’s most remote villages and schools are what will help this mission be a success. *This project is very dear to our heart and we’re working very hard through sales to reach the goal necessary to fulfill on this project. In order to get the panels installed before winter, we need to collect the funds by October 2015. We’re currently at 30% of our goal and invite you to contribute to this project directly! Please reach out to us at sayhello@hotmail.com if you or someone you know would like to donate to our WARM DOUGH Project. 100% of donations to our compassion projects are used for just that!